This was supposed to be a story about the second annual Orioles Social Media Night – about its food, drinks, and fan fellowship. Like any other post on my blog covering the events of which I attend. But with the help of one tweet, a Baltimore Sun article and a WJZ interview, this is now a story about the aftermath following the comments Orioles’ All Star Center Fielder Adam Jones made last night. 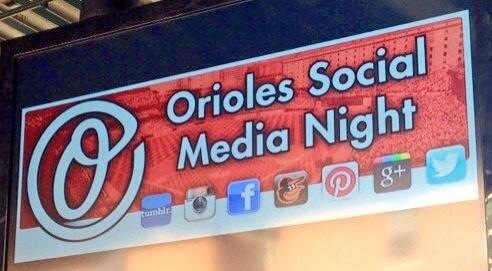 The second annual Orioles Social Media Night began just as it had last year. 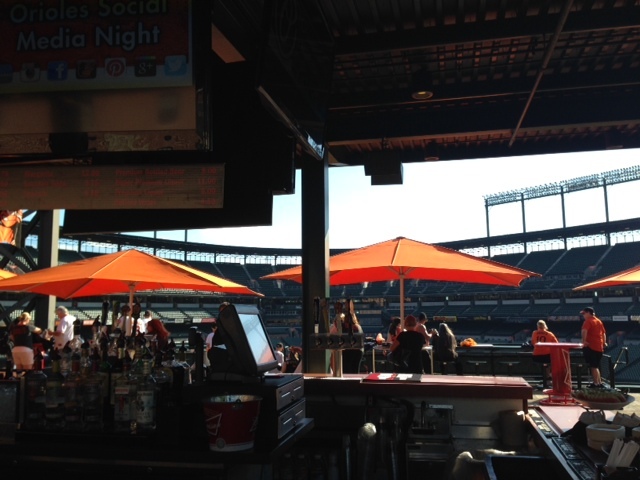 I arrived at Camden Yards minutes before the gates opened at 5:05pm, checked in, received my drink tickets and free Adam Jones #StayHungry shirt, and walked up to the center field rooftop deck bar. I exchanged one of my drink tickets for a Miller Lite (it was either that or Bud Lite), filled up my plate from the buffet and took a seat at the bar. Ryan Wagner, the voice of Camden Yards, was again the emcee. The Oriole Bird again worked the crowd, mugging for pictures and flirting with all the girls. Roch Kubatko from MASN filled in answering fan questions until Adam Jones arrived. 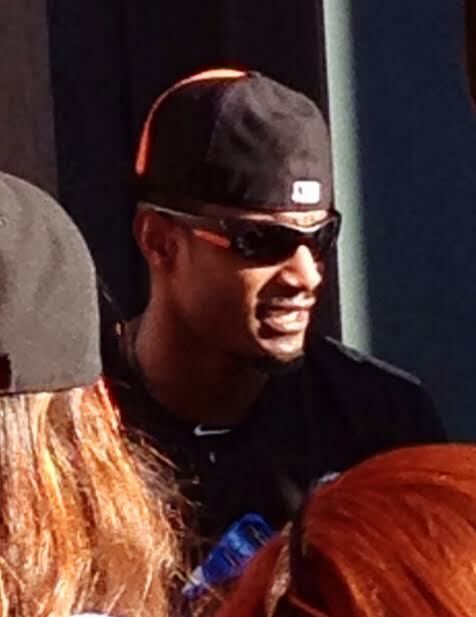 It had been heavily advertised that Adam Jones would be at the pre-game party for a Q & A session. Fans were asked to send questions in via Facebook and Twitter prior to the event. Adam arrived late, which is understandable with batting practice – so that wasn’t really a big deal. It was obvious from the moment he got there that Adam did not want to be there. There were no smiles or ‘thank you’s to the fans. Almost immediately Adam complained about everyone having cell phones in his face taking pictures. It’s not like we ran up to his table at a restaurant to take a picture. This was a fan event. It is to be expected the fans were going to take pictures. When asked what was his favorite place in Baltimore, Adam Jones said the airport so he could leave. Then noticing the deafening silence, he added so he could leave to go home. When asked what his favorite food in Baltimore was, he answered he did not like crab cakes. I don’t remember what he actually did say was his favorite food. Every answer was negative about Baltimore and positive about San Diego, his home town. Adam turned every question about Baltimore to an answer about San Diego. It is fine that he loves his home town, but he shouldn’t disrespect the town that he is playing for in front of those whose home town it is. Adam sarcastically asked if we were going to be loud and fill the stands, criticizing the low attendance at Camden Yards this week even though the Orioles are in first place. There were more comments, but I can’t remember them. Each comment was worse than the one before. Very short, curt answers. It was obvious that Adam Jones was not happy about being at this fan event where each of the 250 fans paid $50 to attend. All the fans and bartenders were shocked and couldn’t believe these ungrateful words were coming out of Adam’s mouth. After the game, Jones was asked about the comments he made – especially the one about BWI. Adam said he was joking. He was not joking. There was no sarcastic tone and no laughing. Any one of his comments would have been no big deal, but a string of them showed how Adam Jones really feels about Baltimore, the Orioles and the fans. Shocking considering he has been so active in the community. When he left, a sort of awkward silence fell over the crowd. Everyone commenting how rude Adam was and how he should have stopped talking because he was just making it worse, digging his own grave. I, of course, immediately tweeted my feelings about Adam Jones. I had no idea what I was about to start. It was a simple tweet, not trashing Adam Jones – just relaying what he said. The responses I got were mostly denial – everyone saying he was kidding and I misunderstood. But I also got many haters attacking me. I didn’t use a hashtag or tag anyone, just tweeted it on my feed. Apparently it reached many people, even the Baltimore Sun. My tweet was one of two featured in its Orioles Insider article this morning, where I was also criticized greatly by fans in the comment section. Late this afternoon, WJZ channel 13’s Meghan McCorkell emailed me and tweeted me asking for an interview about the ‘Adam Jones event.’ I wasn’t prepared to appear on camera, so I agreed to a phone interview. It airs tonight on the 11:00 news on channel 13. 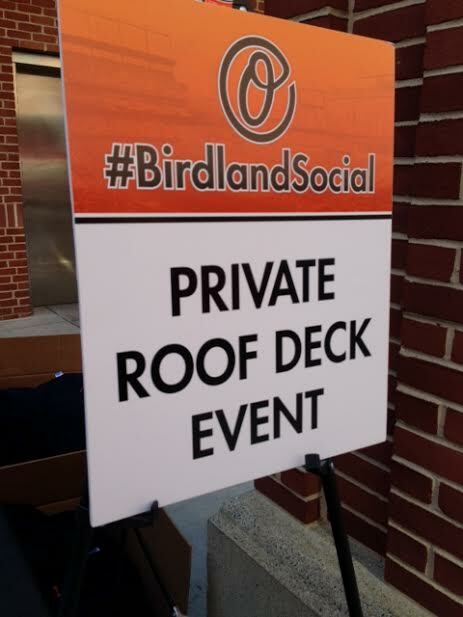 It was a great Social Media pre-game party, but next year the Orioles should pick a more gracious player or at least someone to lie to the fans and pretend they are happy to be there. It is sad this great Orioles event that was supposed to celebrate Social Media is now being referred to as the ‘Adam Jones event.’ Adam Jones used to be my favorite current Oriole. Last night’s comments take nothing away from his great abilities as a baseball player, but I will no longer revere him or cheer him on.